Hand Drawn Vector Graphic Illustration Of Pineapple Floating In Lifebuoy In Ocean Waves. 免版稅剪貼畫，向量插圖和股票. Image 117256685. 版權商用圖片 - Hand drawn vector graphic illustration of pineapple floating in lifebuoy in ocean waves. 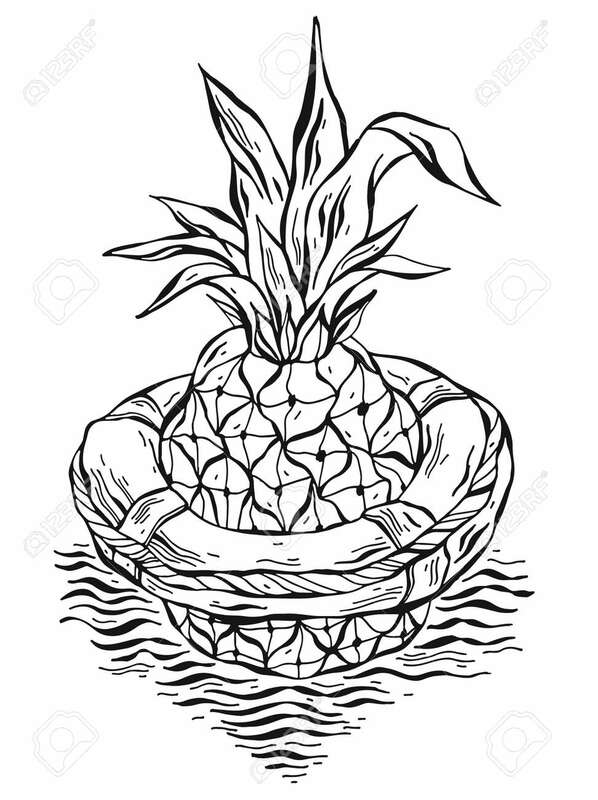 Hand drawn vector graphic illustration of pineapple floating in lifebuoy in ocean waves.